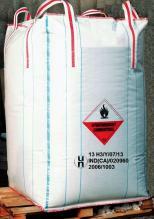 FIBC’s are one of the most cost effective and ideal types of packaging for shipping and storing dry bulk products. 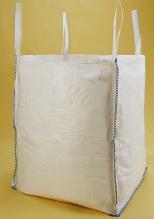 They can produced from either tubular or flat polypropylene (PP) woven fabrics. These fabrics can be both coated or uncoated and vary in different weights depending on the requirements of the Safe Working Load (SWL), or Safety Factor (SF). An FIBC can be as simple as an open top with a flat base used commonly within the building industry or, as a high tech unit produced within a clean room production environment to be used within the food/pharmaceutical industries. Most importantly, each FIBC is manufactured to meet a customer’s specific requirement. FIBC bags are manufactured with One (1), two (2) and four (4) lifting loops that helps in process of packaging, loading and unloading. 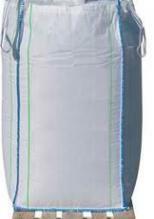 Used for packing a wide range of materials, FIBC bags are categorized into various designs to offer great efficiency in bag filling. The various kinds of designs include open top with hem, tie down flap, duffel top, open top and tightening holes, open top with draw cord, filling spout, discharge spout and discharge spout with iris protection. 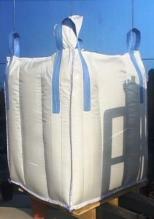 FIBC bags are effectively designed in order to make the emptying process a lot easier and hassle free. 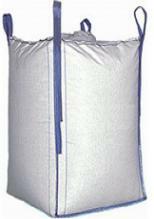 There are quite a few variants of FIBC bags available in this category that includes discharge spout with petal closure, discharge spout with sewn cover, discharge spout with protection flap and full drop bottom.